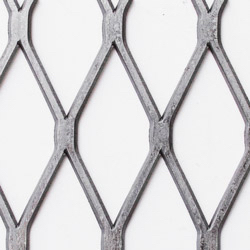 Yankee Wire Cloth Products offers extensive custom fabrication capabilities for metal screen filters, metal mesh strainers and more. Here is a quick overview of our most frequently used material standards. 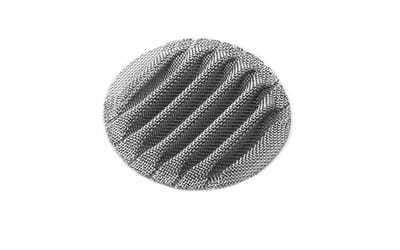 Our wire cloth filters come in plain square weave, plain Dutch weave, twill square weave and twill Dutch weave. The chart below outlines the specs for various standard meshes. 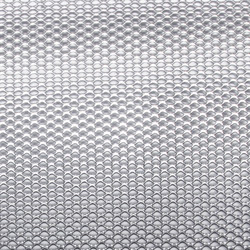 Our custom perforated metal filters and strainers are always manufactured to your specifications, with a wide range of materials, hole sizes and perforation patterns available. They can be constructed or reinforced with perforated metal. 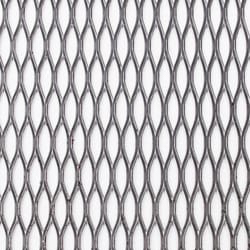 Perforated metal strainers and filters are resistant to bending and crimping, making them an ideal choice over wire mesh filters in demanding applications that call for rigidity and durability. Varying perforation patterns and percent open area also allow engineers to achieve desired flow rates and size sorting. The illustrations below are for reference purposes only. Hole pattern will depend on gauge of material. .033" Dia. .055 Str. Ctrs. .045" Dia. .066 Str. Ctrs. 1/16" Dia. 3/32" Stg. Ctrs. 1/16" Dia. 7/64" Stg. Ctrs. 1/16" Dia. 1/8" Stg. Ctrs. 5/64" Dia. 7/64" Stg. Ctrs. 5/64" Dia. 1/8" Stg. Ctrs. 3/32" Dia. 5/32" Stg. Ctrs. 1/8" Dia. 3/16" Stg. Ctrs. 5/32" Dia. 3/16" Stg. Ctrs. 3/16" Dia. 1/4" Stg. Ctrs. 3/16" Dia. 5/16" Stg. Ctrs. 1/4" Dia. 5/16" Stg. Ctrs. 1/4" Dia. 3/8" Stg. Ctrs. 1/4" Dia. 1/2" Str. Ctrs. 5/16" Dia. 7/16" Stg. Ctrs. 3/8" Dia. 9/16" Stg. Ctrs. 1/2" Dia. 11/16" Stg Ctrs. 3/4" Dia. 1" Stg. Ctrs. 1" Dia. 1-1/4" Stg. Ctrs. Please note that galvanized material runs thicker than the chart shows. Brass material also runs thinner than the chart shows. 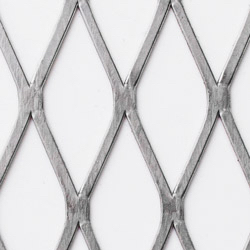 Yankee Wire Cloth Products can make custom metal filters and strainers constructed or reinforced with expanded metal. Our custom expanded metal filters and strainers are always manufactured to your specifications. 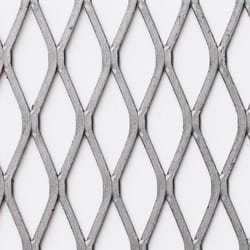 Expanded metal can serve as a single filtration element or as a secondary supporting layer to protect a filter against crimping or bending. Varying patterns with different percentages of the open area allows engineers to achieve desired flow rates and size sorting. The photos below show our standard open areas. Additional custom sizes are available upon request. Opening size: SWD .206" LWD .604"
Opening size: SWD .333" LWD .974"
Opening size: SWD .708" LWD 1.691"
Opening size: SWD .068" LWD .120"
Have any questions about material standards? Give us a call.